As homeowners, we want our properties to reflect our styles and the designs of the current day. 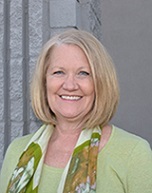 If you have purchased an older property, or you just want to update your current home, a certain degree of work and projects are required to bring your property up to the level you strive for. While many of us have experience with home projects, there are some of us that don't. Below are some of the common projects homeowners embark upon, and suggestions on when it's best to do it yourself or call a professional for help. Most painting jobs are DIY, pending you have a steady hand. Should you have structural repairs or water damage, call a pro, especially if you're going to demolish the existing wall, replace or re-frame anything, install new Sheetrock or drywall or anything else that is labor intensive. 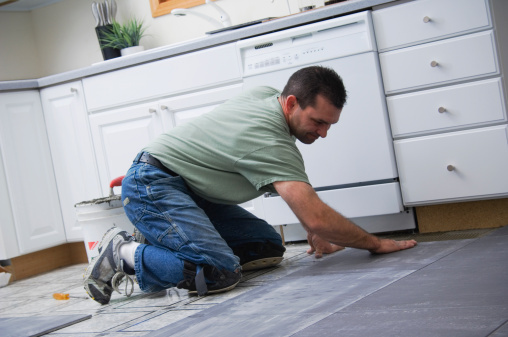 Floor repairs can be fairly easy, from cleaning to repairing small nicks in the flooring. If you want to take on a larger project, it might be worthwhile to hire a pro if your project requires installing hardwood floors or laying tile. With the amount of work required to install a new floor, hiring someone with the experience can save you time, money and a lot of body aches. 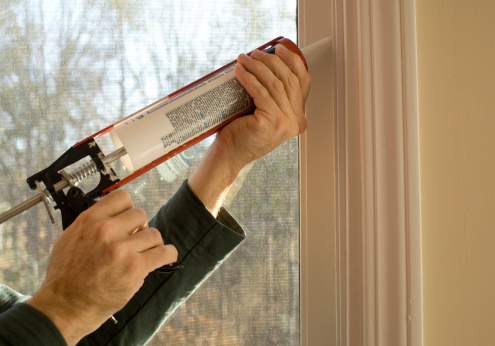 If you're doing minor maintenance and repairs (like repairing or replacing wood sills or caulking around windows), you should be able to do this type of project no sweat. But if you're looking to replace a window, or need to rebuild a window frame, count on calling a professional for help. If you have no experience with the electrical system of your home, keep your improvements limited to changing outlet covers and switch plates. You can also change all your current light bulbs to energy saving bulbs. Tiling a back splash or replacing dirty old grout are projects most homeowners will be able to tackle on their own. But if your project requires tiling floors, walls, or large tile installations, it might be worthwhile to contact a professional for help, especially if your project requires cutting any tile. DIYers should be able to do small projects, like replacing a toilet flapper, addressing drips, upgrading shower and sink fixtures, and other small things that don't require a lot of tools. If your project requires moving or installing any plumbing or pipes, call a pro for help. Small leaks can mean thousands in repairs if they're not caught in time. If you need to modify your plumbing system, then you should definitely call a professional. Welding pipes together requires a torch, and if you don't have that experience, it's best to rely on the experts for this type of work. 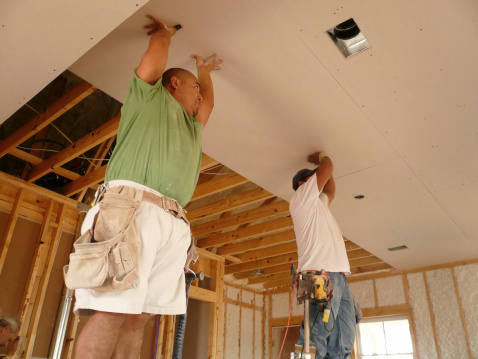 If your project requires direct contact with electricity, call a pro. This includes rewiring, adding power to areas that do not currently have power, and any installation of large or heavy light fixtures (think a chandelier). Electricity is no joke, and the last thing you want is to cause yourself harm, or harm your home, during a DIY project. If you have a new home, you will not encounter asbestos or lead paint. But if you are interested in older homes, asbestos and lead paint are a possibility. Once used as insulation, asbestos is toxic, and there are laws that govern how it's removed and disposed of. Lead paint is also highly toxic, and removal should be done by a lead professional. Should you have mold in your home (certain types are toxic), it's best to leave the removal of all of these to the professionals: they know how to remove and dispose of all toxic materials, and they can do it safely. Repairing a roof shingle might seem like an easy task, but there is more danger in getting on and off a roof than most homeowners realize. Tools, multiple trips up and down a ladder, and constant attention paid to the incline of the roof make roof repairs tiring, and if you're not prepared, dangerous. Stick with the professionals – they have the proper gear and the experience required to do the job right. Gas is similar to water: if it can find a way out, it will escape. If you're replacing appliances that run on natural gas, it's best to hire someone to help with installation. The last thing you want is for gas to escape and result in a buildup of carbon monoxide in your home.